Mt. 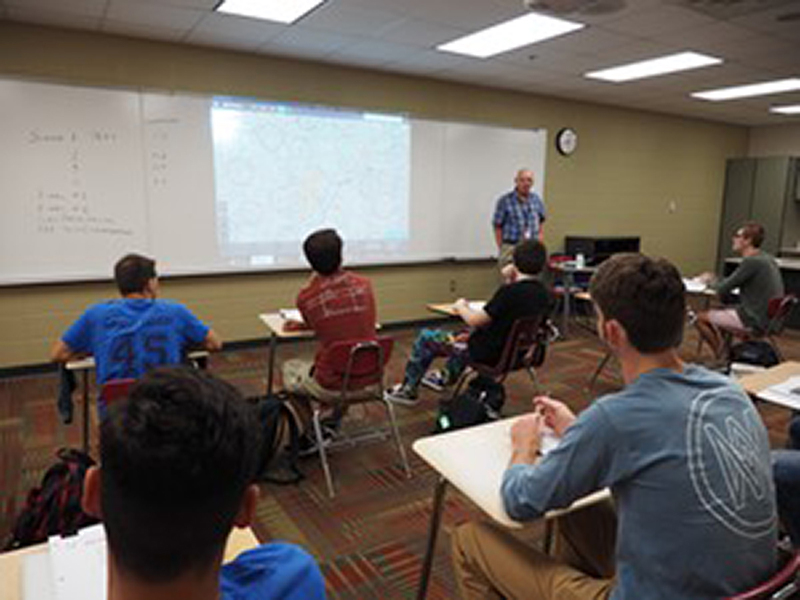 Vernon High School recently became part of a group of eight high schools and seven school districts in Indiana to offer a college-level aviation course in collaboration with Ivy Tech. Key coordinators include MVCSC Director of Secondary Education Scott Shipley, MCHS Principal Greg Roach, Ivy Tech Aviation Program Chair Matt Medley and Ivy Tech Aviation Course Instructor Jack Morton. The year-round course is a combination of two aviation classes. One, which is essentially an overview of the aviation industry, allows students to experience the airport environment, listen to speakers from the industry and learn about the types of career opportunities in the industry. The other teaches student information needed to pass the Federal Aviation Administration’s pilot exam. Both courses are designed for students who are interested in pursuing flight training. The opportunity also was opened to Greenfield Central High School students who travel to MVHS each morning to take part in the course. Six students from GCHS and five from MCHS make up the class. The aviation industry is expected to see a major decrease in pilots in the coming years as baby boomers retire. However, the demand for pilots is growing. The average annual salary for pilots in Indiana is approximately $115,000.